Who hasn't been in the situation when your phone or some other needed piece of tech runs out of juice and you are somewhere there is no place to recharge. Has happened to me a few times! I've been stranded in an airport where there was a crowd around every electrical outlet and it was impossible to get a turn to plug in. A few months ago, a mandatory professional conference I was attending didn't have electrical strips to keep laptops powered up during its seminars. And just a few weeks ago during a road trip my family was running around from attraction to attraction that there just wasn't time to stop and wait for the batteries in our phones and cameras to recharge leaving us with dead devices at times. Problem solved now that I have discovered the NOVOO 20100mAh AC Portable Charger. This Quick Charging Universal Travel Charger is great for taking when you are on the go. It has a 20,100mAH / 72.36WH battery that is a great solution for keeping cameras, laptops, tablets, smart phones and other small electrical devices or tools charged. 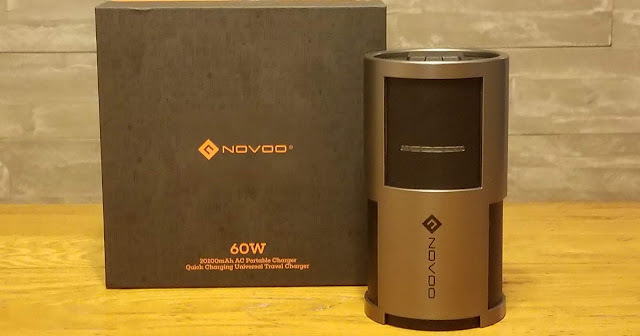 Only slightly larger than a soda can and with the look of a stainless steel coffee tumbler, the NOVOO 20100mAh AC Portable Charger packs a lot of power but is easy to carry around with you thanks to its compact size (80mm x 80mm x 155mm). Plus it has safety features such as surge protection, short-circuit protection and only allows devices to draw power from it at 60 Watts or less or over-current protection trips on and turn off the Novoo AC Power Bank off. These safety protocols assure the safety of you and your devices by preventing circumstances that could potentially sett things on fire. Features like these make it safe to take with you wherever you go, even on airports or cruise ships, making it a great charger for travelers. Fast Charge Technology: This NOVOO power bank has a one of a kind AC outlet that supports 5V/2A fast charge (USB-A) and 5V/3A USB C charging technology. Life doesn't wait for you to be fully charged so take advantage of this fast paced charging option to stay powered up. Charge 3 Devices at Once: With its various ports you can charge up to three devices at once using the USB-C, USB-A, and AC Outlet plug-ins. 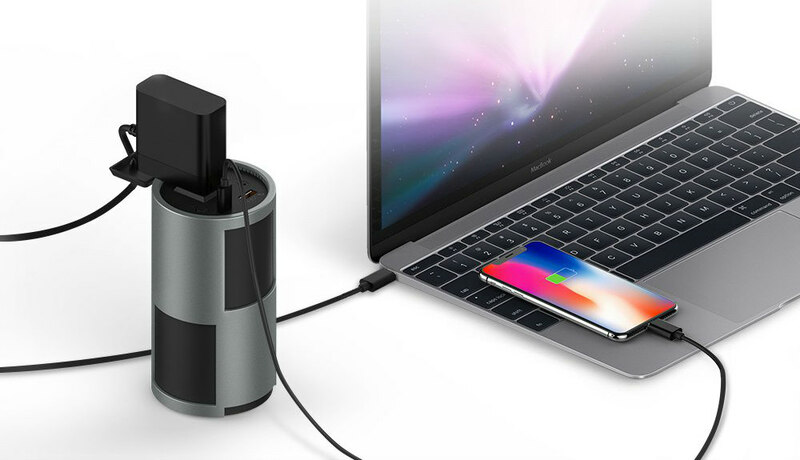 Your Power Solution When on the Go: A fully charged NOVOO power bank can power a MacBook 12" for 15 hours, an iPad Mini for 30 hours and an iPhone X for 56 hours. 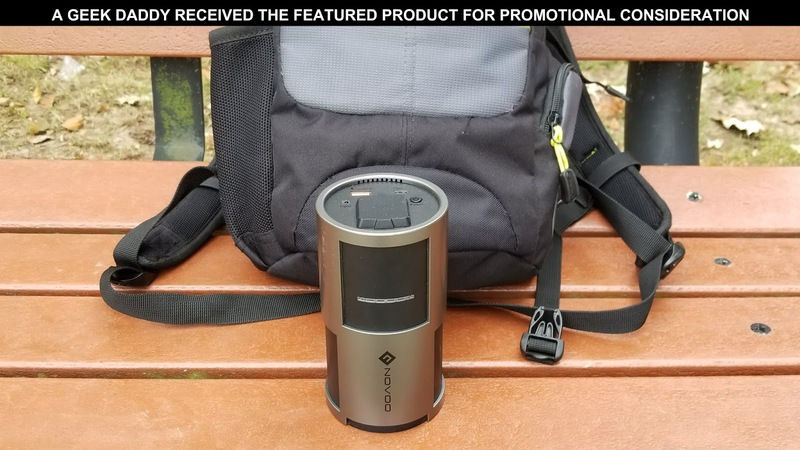 Whether packing it in your backpack for a trek or using it around the house for emergencies when the electricity goes out, you can depend on the NOVOO 20100mAh AC Portable Charger to keep your devices powered up whenever and wherever they are needed. I'm giving the NOVOO Quick Charging Universal Travel Charger, A Geek Daddy nod of approval because it has gotten the job done for me whenever I've put it to the test. When a wind storm knocked out my home's power for a few days, my NOVOO 20100mAh AC Portable Charger kept my wife and I's phones going until the electric company was able to flip our lights back on. During a long roadtrip with my kids where we were in the car eight hours straight, it kept their mobile devices powered up in the back seat where we didn't otherwise have a power outlet for them to plug into. 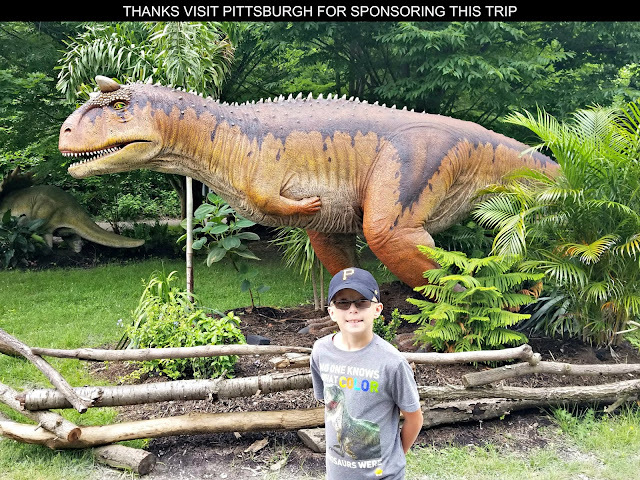 I've also taken it along to amusement parks, museums, zoos and on other all day trips to keep cameras and mobile devices energized without having to worry about stopping in the middle of whatever I'm doing to get them refueled while out and about. Just slip the charger in a backpack and you are good to go! On a more casual note, I also keep it by the couch while playing video games so I can recharge my controllers if they get low on power while being used to avoid having to plug them into the console to recharge. There are a lot of nifty uses for this device! The NOVOO 20100mAh AC Portable Charge has been a real godsend at times! To get one yourself, they can be bought at amazon.com. 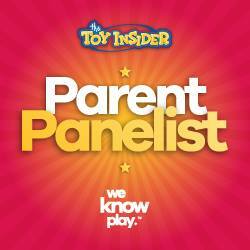 I highly recommend heading over there to check it out and pick up one for yourself.